Amid complicated international landscape and new changes in China's domestic economy, experts around the world believe that the Chinese government has sufficient policy tools to tap its inherent dynamism so as to secure robust and resilient economic growth. These remarks came following the Chinese government's recent proposal of a target to "stabilize the employment, finance, foreign trade, foreign investment, investment and expectations", collectively known as the "six stabilities". Since the beginning of this year, despite fluctuations of certain economic indicators, the Chinese economy has registered stable growth, with the four major macroeconomic indicators of economic growth, employment, CPI and international balance of payments basically meeting expectations. In its latest World Economic Outlook report released on Oct. 8, the International Monetary Fund (IMF) has kept China's economic growth forecast unchanged at 6.6 percent. IMF Chief Economist Maurice Obstfeld recently said that the Chinese economy saw robust performance in the first half of this year, and that the recent figures which might not be so ideal are still in line with expectations, considering that measures such as strengthening financial supervision and preventing risks would drag down the economic growth by a certain degree. Changyong Rhee, director of IMF's Asia and Pacific department told Xinhua that the slowdown in China's economic growth is a result of the government's initiative to deleverage and regulate the economy, which is in fact a "high quality" slowdown. Rhee expressed confidence that the Chinese government has sufficient policy tools to stabilize economic growth and offset negative impacts from the economic and trade frictions with the United States, but meanwhile, deleveraging should forge ahead to ensure more stable and resilient growth in the medium term. Subhomoy Bhattacharjee, a consultant with the Research and Information System for Developing Countries based in India, said China's economy, which has started to shift from high speed growth to medium-high speed growth, has stepped into the deep waters of economic restructuring, where certain sufferings and pains are inevitable. The Chinese government embraces change and has a mature and sensible understanding of economic development, as indicated by its economic policy adjustments in recent years, the expert said, adding that these adjustments will benefit China's economy in the long run. Even though the favorable international environment plays a role in China's economic success, Bhattacharjee said, the country's achievements should be mainly attributed to the inner dynamism generated by its domestic policies. Charles Onunaiju, head of the Center for China Studies in Abuja, Nigeria, said the Chinese economy is stable with an internally integrated and coordinated structure which cannot easily be disrupted by external shocks. China's economy is undergoing the supply-side reform and structure adjustments, said Onunaiju, adding that the economy is reducing its dependence on exports and manufacturing industry and establishing a growth mechanism driven by innovation and domestic consumption. 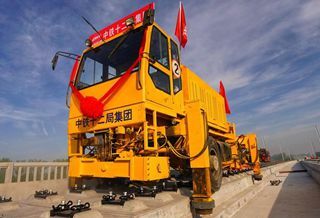 As far as China's relevant authorities maintain the momentum of its structural adjustments, maintain the momentum of innovation, he said, China will remain largely inoculated from the vagaries of external shocks.